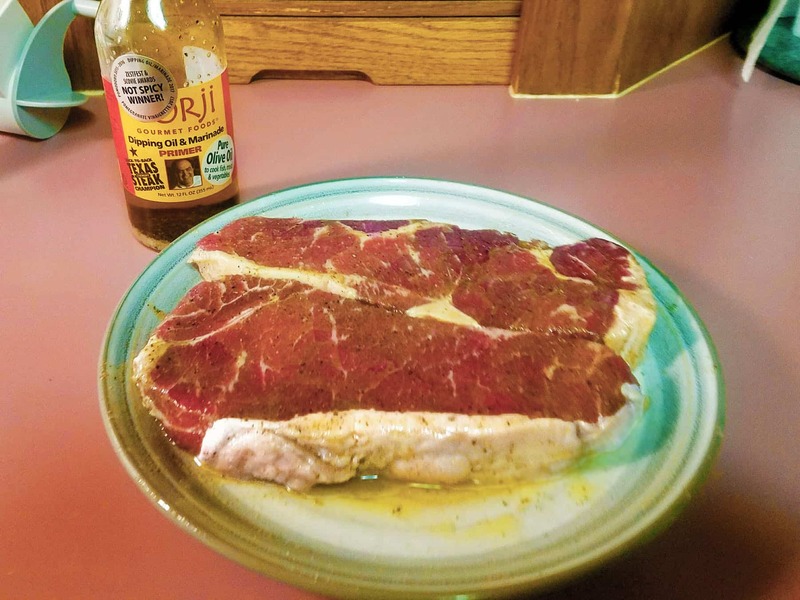 New York Strip steaks brushed and marinated with Gorji Gourmet. Brush both sides of steaks with Gorji Gourmet Dipping Oil & Marinade and let sit at least 15 minutes at room temperature. When grilling I turn them only once like Chef Gorji taught me! No Replies to "New York Strip Steaks with Gorji Gourmet Primer"